Apple is once more selling the iPhone SE on clearance in the U.S., in what may be one of the last opportunities for American shoppers to get the phone new. The unexpected return of the iPhone SE to the U.S. online Apple Store in a clearance sale has ended after only a day of availability, as the company has run out of stock. Apple returned the iPhone SE to its U.S. online store on Saturday, but only as part of a clearance effort to seemingly liquidate the remaining stock of the discontinued handset. It's not news that Apple is grabbing all the profits in the smartphone industry. But new data shows that Apple's most expensive new iPhone flagships are accomplishing this largely on their own, indicating that analyst chatter about smartphone users really wanting cheaper devices is totally delusional. Although Android switchers typically represent about 15 to 20 percent of iPhone purchases each quarter, they're not necessarily buying the models Apple would most like them to buy, according to new research estimates. According to the latest industry scuttlebutt out of China, production of a refreshed iPhone SE smartphone has not yet started, suggesting Apple plans to debut the device alongside flagship models in September. An accessory manufacturer has produced a render for the rumored "iPhone SE 2," suggesting that Apple's refresh of the low-cost iPhone will include a notch at the top, similar to the iPhone X. The follow-up to the iPhone SE could be arriving in May, according to one report interviewing accessory producers, but while the overall size and design is said to be the same as the original iPhone SE, it is claimed the headphone jack may be removed from the model in its next release. Apple may be close to announcing a follow-up to the iPhone SE, after the discovery of a regulatory filing reveals details and images for unannounced mobile devices from Apple, effectively confirming new iPhones will be on the way in the near future. A new report claims that the "iPhone SE 2" is coming at some point after the "Field Trip" event, and not only will be produced exclusively in India, but the global launch is being delayed by the India government for reasons unknown. 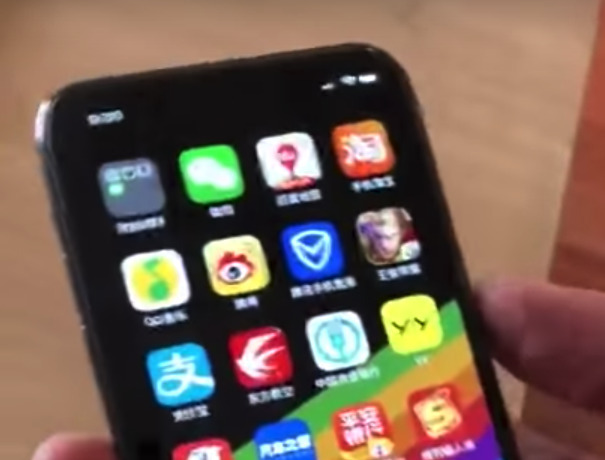 A dubious video has started to circulate on Weibo that claims to show the upcoming 'iPhone SE 2' using the same design language as the iPhone X, but the smartphone appearing in the brief clip is probably not the follow-up to the iPhone SE, for a number of reasons.